Want to lighten up the mood at a party or official event with a game of Jeopardy? 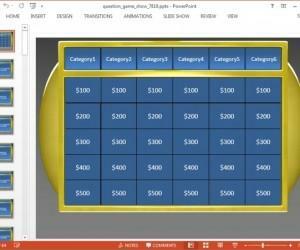 We have just the PowerPoint Templates you need to play the Jeopardy Game just like you see it on TV. 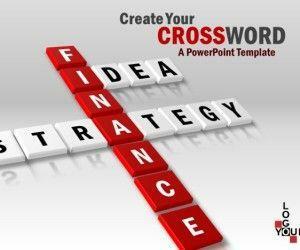 Create Your Crossword is an Animated PowerPoint Template for making presentation slides using editable crossword puzzle templates. This Crossword PowerPoint template features a wide range of crossword puzzle sizes in the form of slides, which can be changed in shape, size and color, with custom text, logo, clipart and videos.